If you’re like many wanderboomer fans of the PBS hit series, Downton Abbey, you’ve seen the sponsored commercials for Viking River Cruises, enticing you to explore exotic destinations from the deck of one of their deluxe ships. 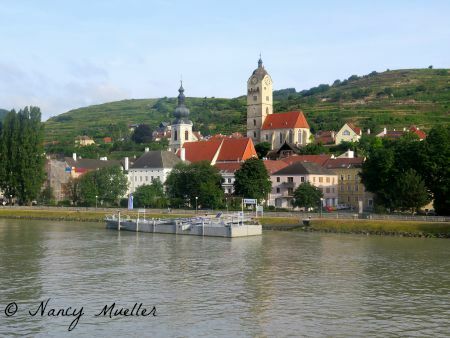 No doubt you have imagined yourself cruising down the Danube, Rhine or Seine Rivers, perhaps a glass of wine in hand, wistfully watching the world go by. 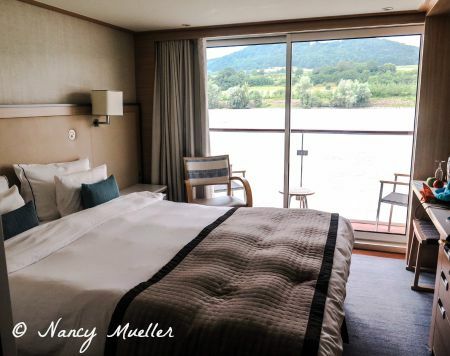 Earlier this summer I had the chance to live the dream aboard a Viking River Cruises’ longship on an 8-Day Romantic Danube Tour from Budapest to Nuremberg. 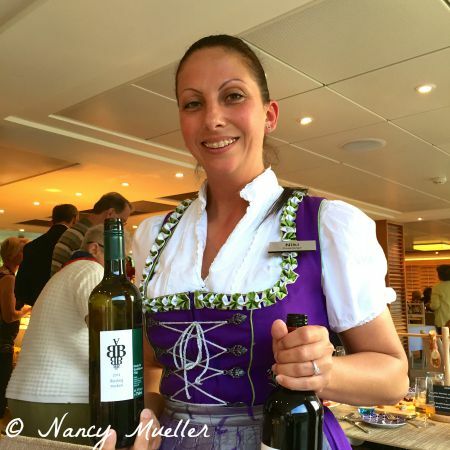 So did the experience live up to my dreamy-eyed vision of a European river cruise? Here’s what I discovered . 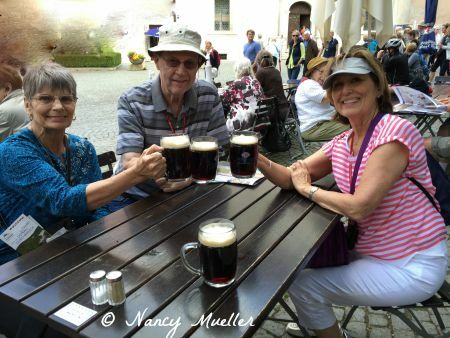 . .
My first clue of Viking River Cruises’ extraordinary customer care began with email correspondence from my Customized Travel Coordinator who arranged my flights and airport transfers. 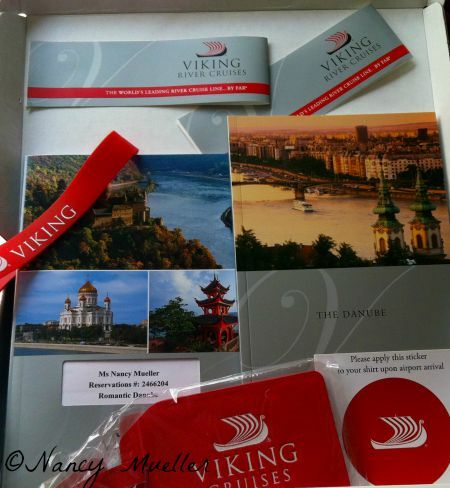 Days later I received a package containing a leather luggage tag and stickers, my personalized “Itinerary & Departure Information” booklet and a “Danube River Destination Guide” of site descriptions and fascinating facts about the art, history and culture of the sites on our itinerary. And that was just for starters. Upon arrival, I was greeted at the airport by a Viking River Cruises’ host who cheerfully whisked me off to the ship without delay. On board, the entire ship staff, from the Captain to Operations Manager and Reception, Cruise and Concierge Directors, Cabin Attendant, dining and culinary crew, deckhands and maintenance personnel ensured that we would indeed get to “Explore the World in Comfort,” as the company’s tagline promises. 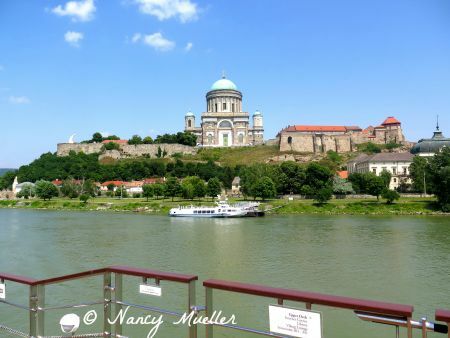 Wandercruisers have a range of cabin options available on Viking River Cruises. My veranda stateroom included a French balcony which I highly recommend for those moments when you want to enjoy river meanderings from the privacy of your own deck. Or for ultimate luxury, spring for the Explorer Suite with a private wrap-around veranda for 270° views. The cabins come with ample storage for belongings, a comfortable bed, flat screen TV and premium entertainment package, plus plenty of personal touches, like fresh fruit and bottled water refreshed each day, a heated floor in the bathroom (with a superb hot shower and plush towels) and robe and slippers upon request. For dining, we had the option of having a casual meal on the Aquavit Terrace with both indoor and outdoor viewing at the bow of the ship or the ship restaurant with more elaborate meal options and expansive river views. The ship’s sundeck with shaded lounging area, walking track and putting green, proved to be a popular place with the 184 guests on board for river viewing, reading and sunbathing, while the bar and lounge area provided a relaxing, entertaining venue after daily excursions. The small library was a lovely spot to sit and browse through books that covered the regions along our cruise or to pick up a copy of the daily news: Britain Today, The Canadian or USA Times. 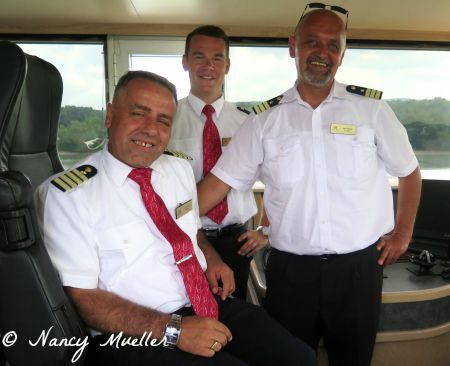 With so many places to explore on board, it didn’t take long for me to feel right at home. Before enjoying the many included and optional excursions on the cruise, we were treated to a variety of presentations designed to enhance our cultural experience. 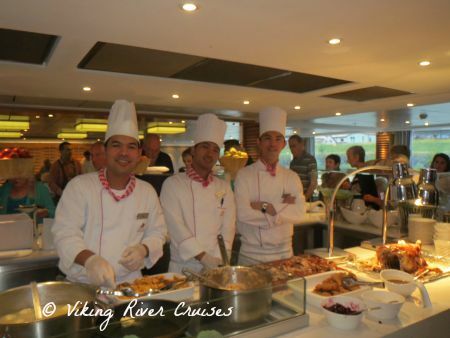 Captain Oskar answered questions about our ship, the Viking Longship Tor, while the culinary crew showed us how to make apple strudel. Evening programs included local musicians playing tunes of the region and opera singers singing a medley of songs from well-known operas, creating a fun, festive atmosphere aboard the ship. 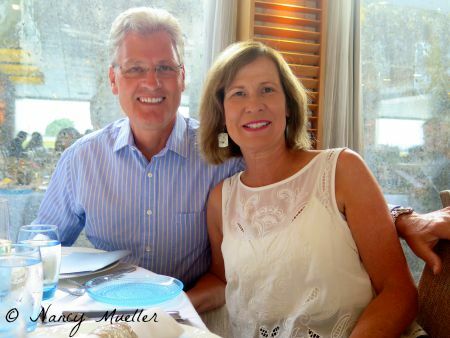 Having delectable meals that reflected the regions we visited, combined with exceptional service from our kitchen and dining staff, made for memorable dining on our cruise. the food was deliciously prepared and beautifully presented. 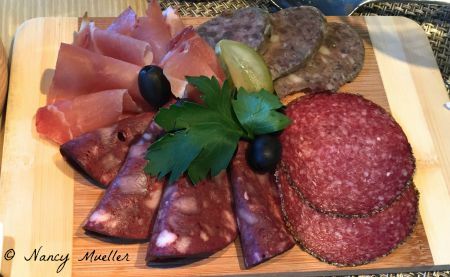 And for special requests and dietary needs, vegetarian options, cheese plates, Caesar Salad, Sauteed Salmon Fillet, Roast Chicken Breast and Seared Prime Rib Eye Steak were always available. 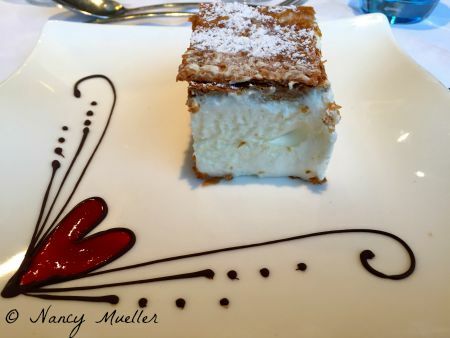 When asking other guests what they liked most about the Viking River Cruises’ experience, I discovered that for many passengers having the chance to mix and mingle with the others on board was a definite highlight. The open-seating arrangement meant guests could sit anywhere we chose for each meal. I met couples and families from California, Arizona, South Dakota and Florida among other U.S. states, as well as from the U.K.
Each evening we received a briefing about the next day’s coming attractions with suggestions for things to see and do in every location. Whether exploring ports of call independently or on guided tours, we enjoyed city overviews on foot and by bus, excursions to architectural treasures and historic sites, plus stops at popular eateries and outdoor markets. 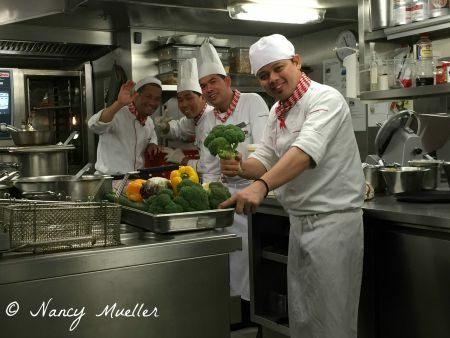 For more on the wonders we witnessed on our 8-day cruise, visit Viking River Cruises. 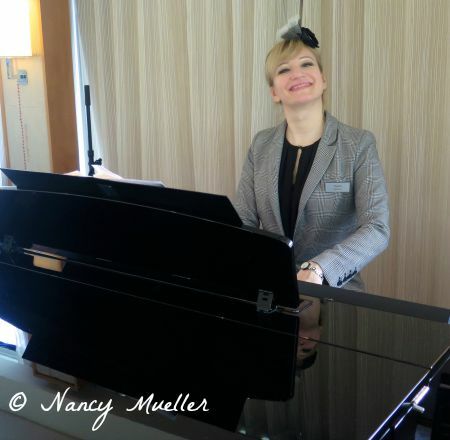 Many thanks to Viking River Cruises for hosting my Romantic Danube experience. What about you, wanderboomers? 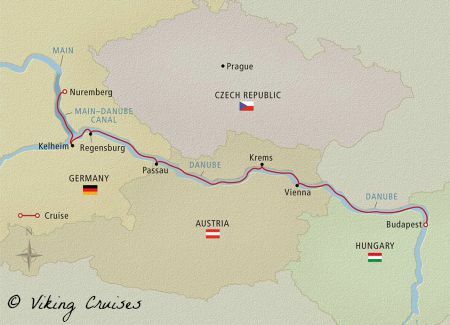 Which Viking River Cruise would you like to take?